What font is used in the Best Western Hotels logo? 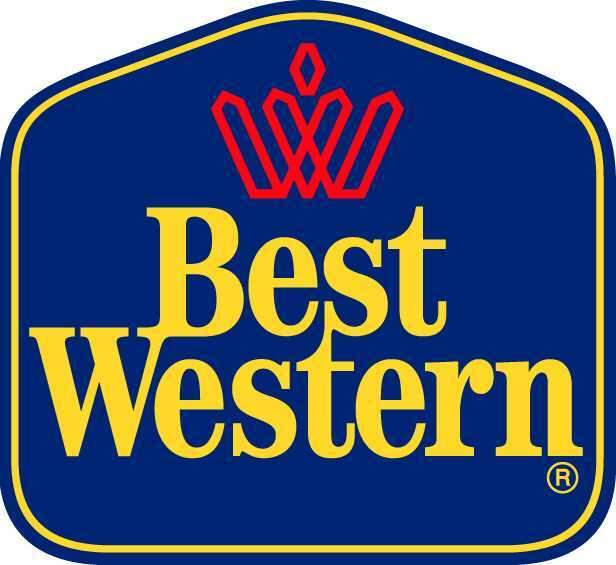 I'm interested in making a joke t-shirt for a friend that changes the text on the "Best Western" logo. Does anyone know what font that is (pictured below), or what font most closely simulates it? It's custom designed - the neat joins between B and W, and s and t didn't happen by accident - but looks to be based on ITC Century Std Bold Condensed. Mockup of 'Best Western' text sample - you might need to click into one of the controls to get it to display correctly. Unfortunately this image didn't work very well with WhatTheFont, I did a little adjusting to the image and passed it through again. To the untrained eye, and without any comparison, I don't think anyone could tell the difference. Not the answer you're looking for? Browse other questions tagged fonts logo font-identification or ask your own question. How can I automatically determine fonts used in an image or PDF? What is the serif font used in the King's Hawaiian logo? What is the font used in the Technika logo? What is the font used in Capital in the SunWise Capital logo? What is the Font type of “pocket edition” text in Minecraft Pocket Edition logo? What is the font used in the Thunderbirds 2004 movie? What font is used for ASL STAR's logo? What script font is is used for the Villa Rheinblick logo? What font type is being used on this logo?